Oil contamination in any watercourse can have a profound effect on the environment, as well as the way in which water is treated. If visible oil manages to slip into a river, local wildlife can feel the impact. In an extreme scenario, floating oil can influence the food chain and can kill a host of animals and plants, even if the pollution is in a small quantity. Meanwhile, floating oil can cause problems in the way water is processed, meaning potential damage can occur to the system and the overall product can be compromised. For example, drinking water quality can deteriorate significantly as a result of an oil breach. 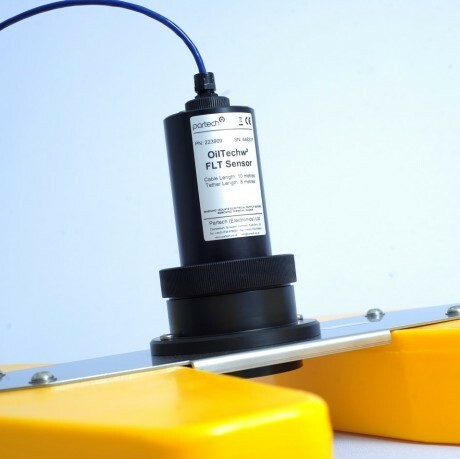 Partech recognises the problems that can occur from oil-contaminated water and so we’ve created the 7300w² Monitor with OilTechw ² FLT Oil on Water Sensor. It’s vital to detect the problem early with a reliable piece of equipment and ensure that environmental damage is kept to a minimum and water plants remain as efficient as possible. That’s why our 7300w² monitor is so important for early detection and allows you to take action immediately. If the sensor discovers oil, it can be programmed to put out an alert so you can intercept the problem and manually intervene. However, it can also automatically close down the intake to a process. The 7300w² is a clever tool that can be linked to other pieces of equipment to make sure you’re maximising its versatility. You can try connecting it to pollution prevention equipment that include oil absorbing mops and oil dispersants as well as other items like booms and skimmers.